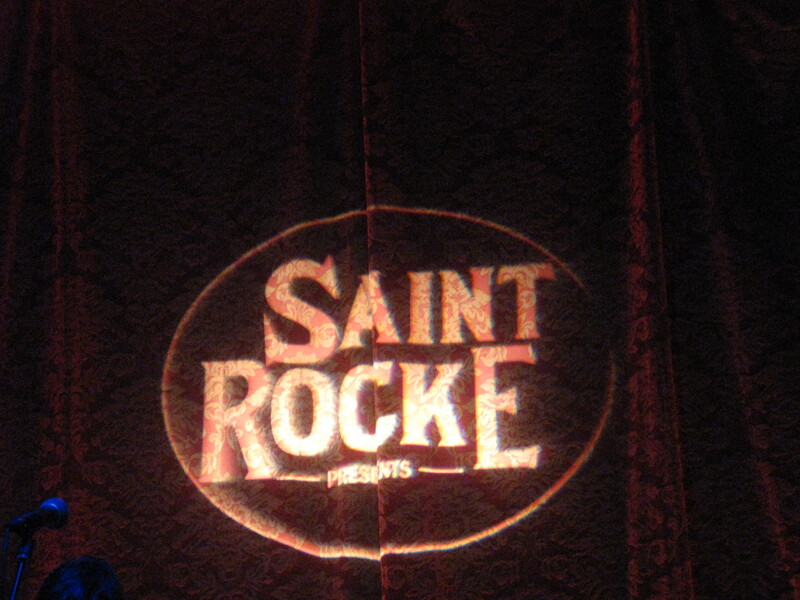 On March 3, I found myself at Saint Rocke in Hermosa Beach, California. 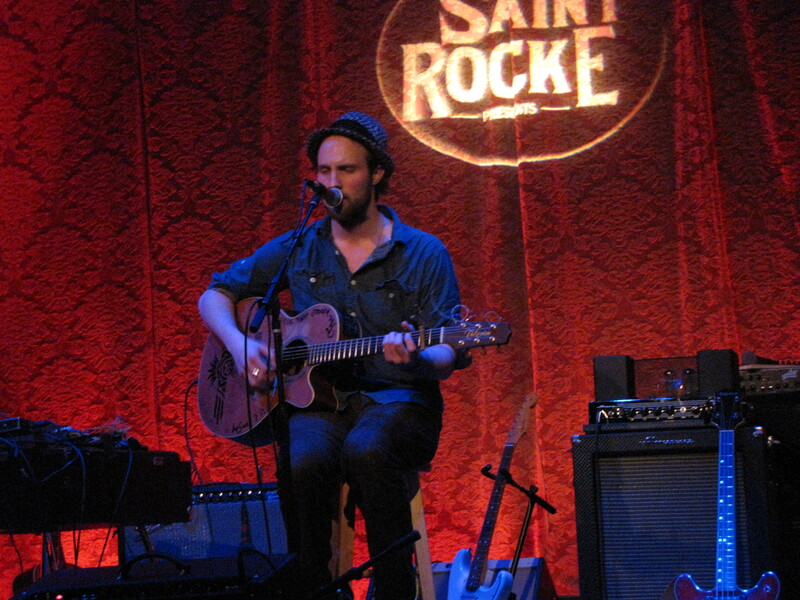 That night, Saint Rocke would play host to three amazing musicians: Ruston Kelly, Sean Rowe, and Marcus Foster. Though the venue was not fully packed, it buzzed with the audience’s excitement. The first set of the night belonged to Nashville based Ruston Kelly. 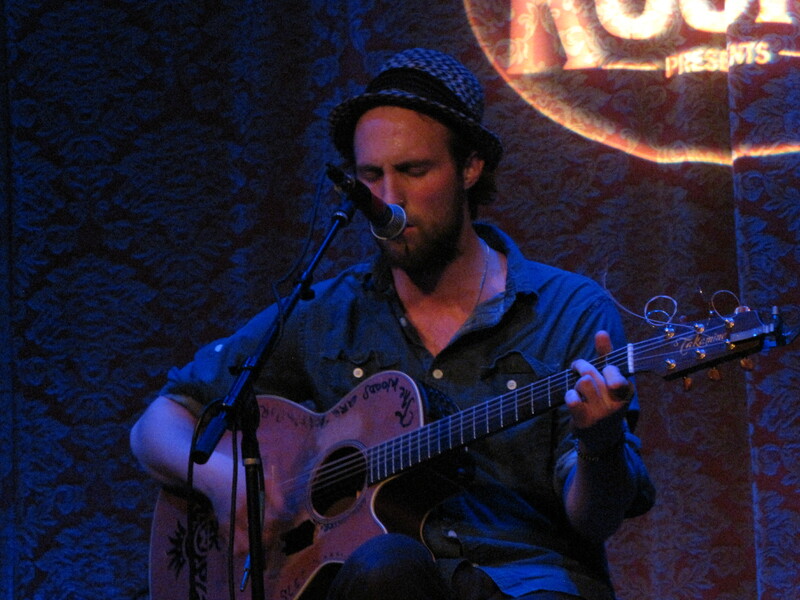 With a soulful voice, and obvious skills on the guitar, Ruston Kelly performed an eight song set list for the audience. With a voice reminiscent of Ryan Adams and Jeff Buckley, Ruston Kelly belted out his extremely well-written lyrics. From the toe-tapping Blue Bird to the amazing cover of Gram Parsons Return of the Grievous Angel , Ruston Kelly wowed the audience. It was a memorable performance, by and extraordinary artist who is sure to go far. 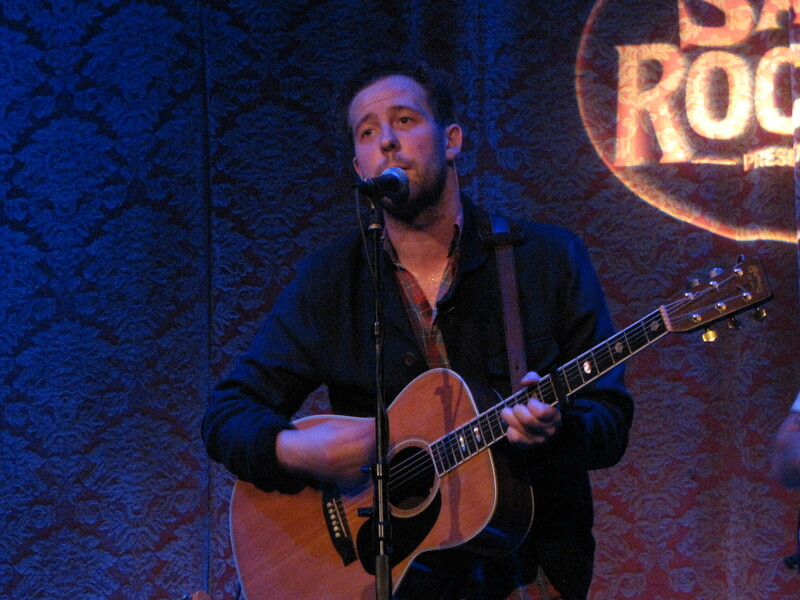 The second artist to perform was the eclectic baritone, Sean Rowe. With a full band and tattered vocals that are similar to Leonard Cohen, Sean Rowe kicked off his set with the hauntingly beautiful Flying. 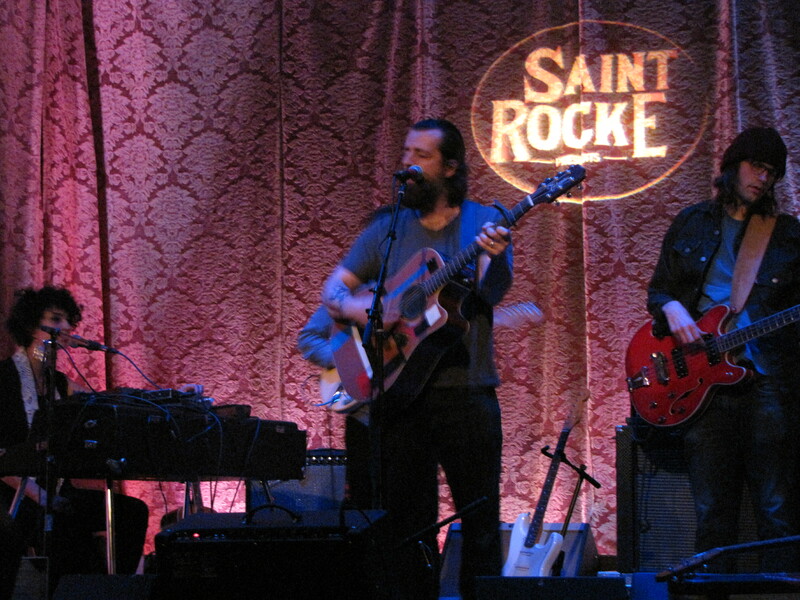 From the very first note, Sean Rowe had the audience fully captivated and cheering for more. 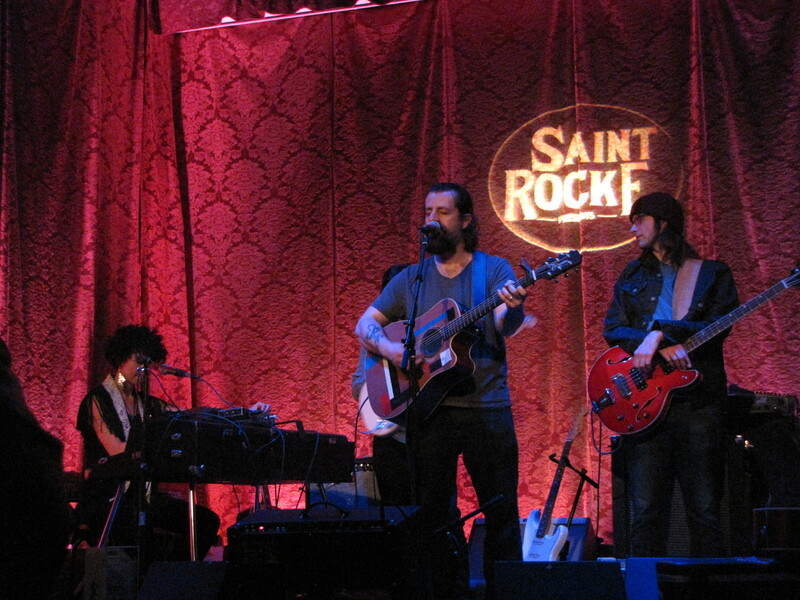 Other mesmerizing songs performed by Sean Rowe included Bring Back the Night, Old Black Dodge, and Downwind. It was an inspiring set that ended far too soon. The last performer of the night was soulful British singer Marcus Foster, who was joined by a full band. Marcus Foster got the audience moving when he kicked off his 14 song set with the haunting tune, Shadows of the City. Though his set included minor setbacks in the form of a broken guitar string and a guitar that was not properly tuned, Marcus Foster performed with ease and charm. Some of the songs performed throughout his set include Rushes and Reeds, Draw the Line, I Was Broken, and John Martyn’s I Couldn’t Love You More. Overall, the night was filled with addicting music and great company. While the crowd could have been larger, they could not have been more excited about the music that they were allowed to experience. It was an evening that most will hope to experience again, but few ever will. To check out tour dates, click here. I own and co-run http://www.marcusfosterfans.com and we’re looking to post reviews of his current tour. Would it be possible for me to post this review on the site. Obviously we’d link back to this site and to you (your twitter too) if we post it.